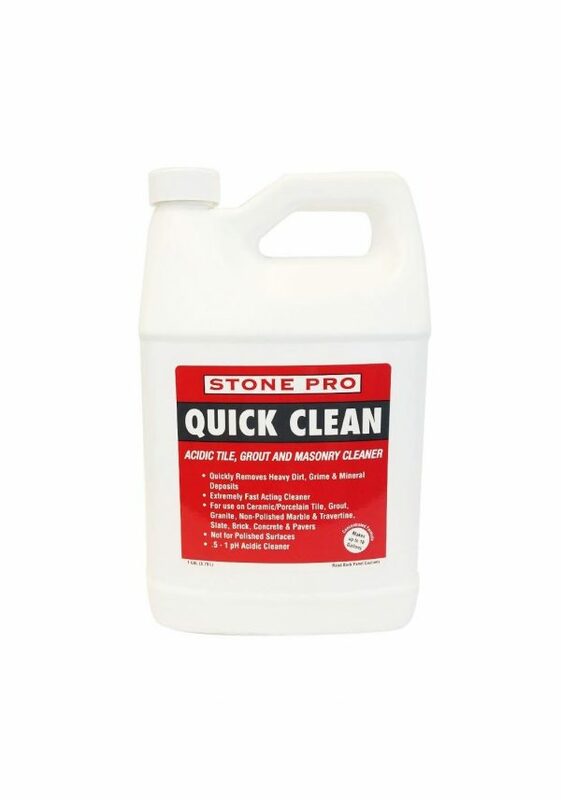 Quick Clean is a highly concentrated tile and grout cleaner designed to remove stubborn dirt, grime, grease and soil from tile and grout. 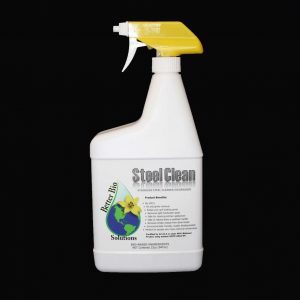 Contains hydrofluoric acidic properties. 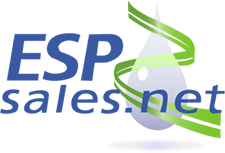 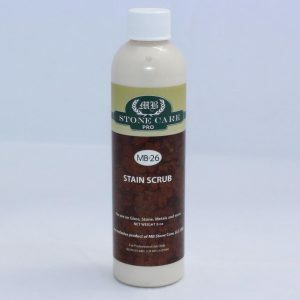 It is ideal for use cleaning porcelain and ceramic surfaces. 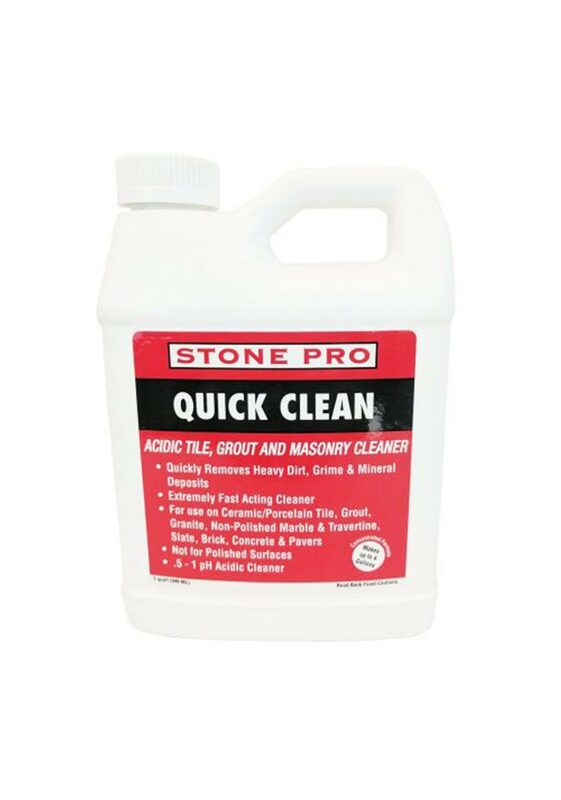 Can be used safely on ceramic tile, porcelain tile, grout, brick, masonry, pavers, and concrete. 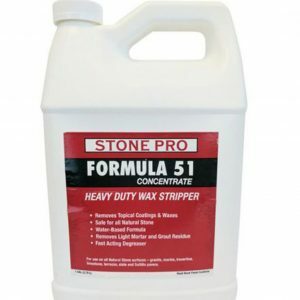 Not For Use On Polished Stone. 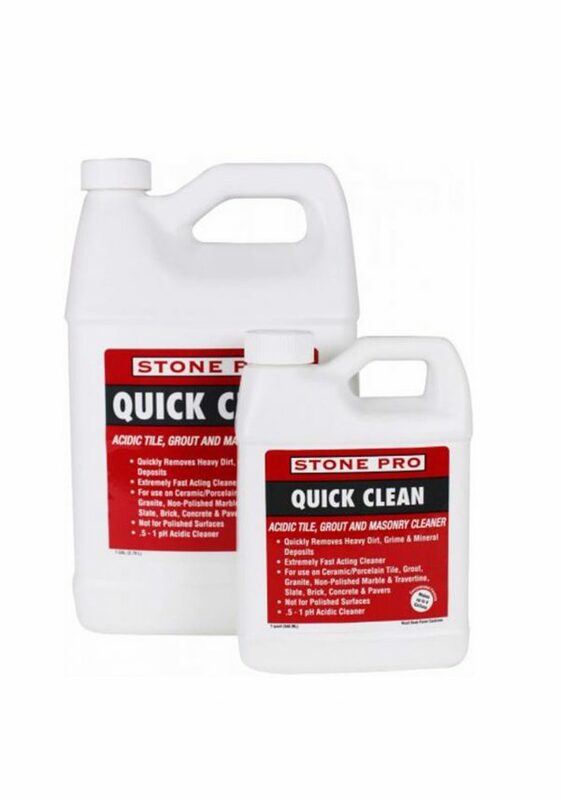 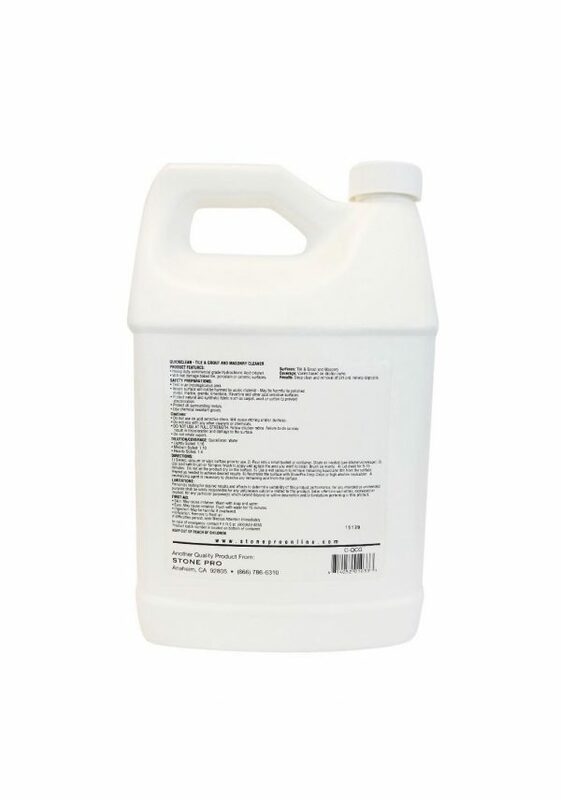 Quick Clean Concentrate 5 Gallon option is a Special Order Item / Please call for arrangements.